When setting up a water management plan (WMP) in LAMPS, simply selecting “Apartment/Condo” from a drop-down menu gives you policies and procedures specific to residential multi-family properties. You can then customize the content per your facility’s water systems and your preferences. 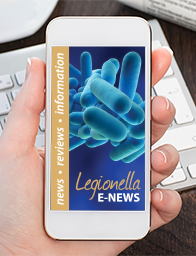 We understand you need to reduce the risk of Legionella and comply with ASHRAE 188—on a very tight budget. LAMPS gives you much more than a WMP document. If all you have is a document, you will have to figure out how to train your personnel to carry out the procedures, where to keep documentation records for easy access, and how to report your progress and performance to your bosses. Updating a document can be time-consuming, too, especially if several people provide input and make changes. If you oversee multiple properties, it’s even more complicated.